Drop your coat and you have your own temporary workplace. Do you expect company? Work and consult at the same time. Configure TOOtheLOUNGE to your preference. The electric height adjustability is optional. And with a (optional) locker. The power outlet is standard optionally with USB, HDMI and RJ45 connections. A light armature is available for all models. 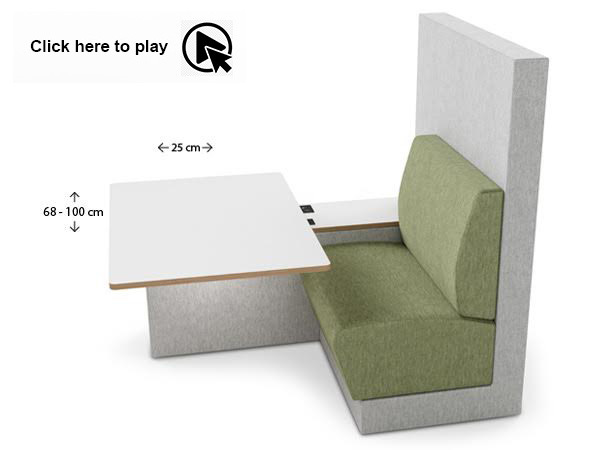 design furniture for offices, hotels and public spaces.